One question that I get a lot, now that I’m more open about my running with friends and family, is how I got started. Starting to run seems like such a monumental undertaking to someone who doesn’t run, I know. I’ve already talked about my memories of my first run (Run-iversary) but thought I’d step back and reflect on the nuts and bolts of starting to run, rather than my rather touchy-feely memories of the first day. *As always, before starting new exercise regimen, be sure to clear it with your physician. These tips are based on my own experience and the resources I cite below for you. I am not a fitness professional. – Before I first attempted running, I was able to walk for 3 miles without difficulty. It’s important to have a certain level of cardiovascular fitness before you get started, or you’ll get discouraged very quickly at how difficult it seems. Most running plans also include walking with the running intervals, so you need to be able to walk at least 30 minutes in order to get through the workouts. – Shoes: Every article that you read about starting to run stresses the importance of having well fitted shoes and I agree, if you’re going to keep running, it is important to have the right shoes to make things more comfortable and decrease your risk of injury. That said, I didn’t immediately go out and buy new tennis shoes. For the first few weeks, until I committed in my mind that I was really going to stick with running, I just did my short running intervals in the sneakers I’d used for walking before that. These were athletic shoes and not just casual Keds-type tennis shoes, so they did have decent support and I was walking for the majority of the workouts in the first few weeks anyway. After a few weeks of running my walk:run intervals, I bit the bullet and went into my local running store to get a pair of shoes just for running. I thought they’d look at my 250 pound self and laugh, but they were really very nice and not at all judge-y (or at least not that I could tell). The guy asked what kind of running I did and what my goals were (and I was honest about the fact that I was just starting out and a slow jogger). I stood on a sensor that measured my foot size and arch and then jogged on the treadmill for a minute or so. The jogging on the treadmill intimidated me because I was a little afraid of the treadmill in general and also because my slow jiggly self would be on display! Really, it ended up being just fine. He was so intent on my feet I didn’t feel nearly as silly as I thought I would. We watched the video and talked about pronation/supination. He then walked me through the different types of shoes and gave me several suggestions to try on (and had me run again on the treadmill in each shoe before I decided). I didn’t feel pressured at all and I love my shoes, so I’m glad I got over that intimidation factor of going into the running store! – Walk/run plan: There are several different plans available online (and free!) to get you started with walk/run intervals, including the Cool Runnings Couch to 5K that I used. Women’s Health, Runners World, Jeff Galloway and lots of others have options. Look around and see what works for you. Some people don’t use a set interval plan at all and instead just jog as far as they can and try to push it a little farther each day. Just be careful not to push too hard! I like the intervals in the Couch to 5K because they were a challenge but also kept me from doing too much and hurting myself. Most plans recommend running workouts 3 days a week, with rest or cross training on the other days, and workouts totaling 20-30 minutes each. Be sure not to increase your total running too quickly (no more than 10% a week is the most commonly cited amount). Be sure to include a walk to warm up and cool down with each workout as well. The other important thing is to know that you can repeat any workouts you need and go as slow as you need to! I was really intimidated by the first workout where I was supposed to run 20 minutes without a break. I attempted that workout several times before I finally managed to complete it and I only completed when I slowed down to a 15 minute mile pace (4 mph). During this time, I found social support from running blogs and especially the SparkPeople Couch to 5K group really helpful. SparkPeople is where I found the advice to slow down and sure enough, it worked! As a beginner, most experts recommend you should be able to carry on a conversation but not sing while you’re jogging (although I will admit, those first few weeks, there was no way I’d be able to talk, no matter how slow I was going!). Just keep in mind that you don’t have to push too far too fast – you’re more likely to safely achieve your goals if you take it slow and steady. – Be prepared to be sore in some interesting places! I was completely unprepared for how sore I’d be after that first set of intervals. It didn’t feel like a ton of running, just a few 60 second jogs, and yet I was in pain anytime I had to get up and down from chairs the next day. Going down stairs was torture! Your muscles are going to be doing some new things – be nice to them and stretch out after your run and give yourself a day off afterwards. – Be sure to give yourself rest days! It can be very tempting to overdo it when you’re starting a running program (or any new physical activity). There’s a dangerous mix of those endorphins you get from running when you thought you’d never be able to plus the urge to keep working and get better. Those things can tempt you to work out more often you should. Starting out, most plans recommend that you run no more than 3 days a week with at least one day of complete rest, if not more. When I first started running, I was running only 2-3 days a week, with two days of rest and other workouts on the other days. I think this a huge part of why I was able to run without significant injury, despite weighing 250 pounds when I started. I was able to continue losing weight despite not running every day, so don’t think you need to run daily if you’re in this for the weight loss either! Last week, Sunday was my rest day and it was a very active rest day, but fun times with my guys before I have to leave town. 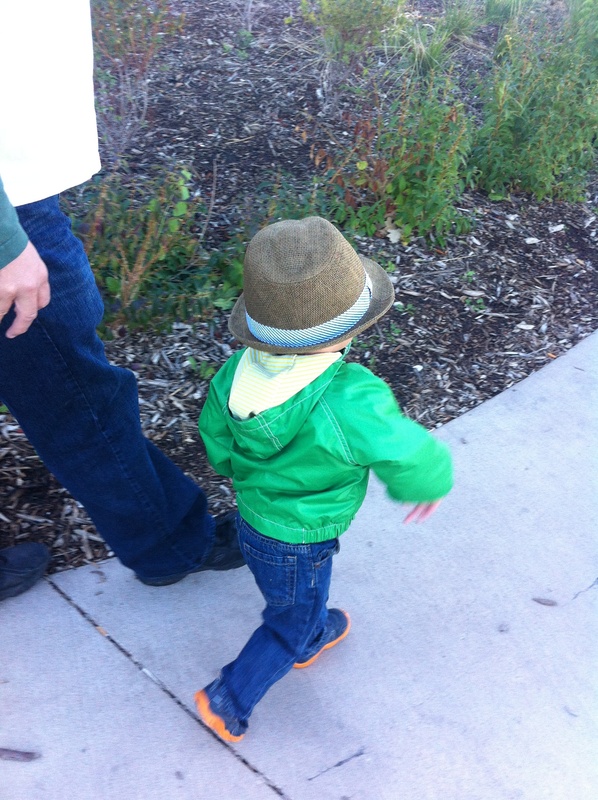 It was a gorgeous day, so we visited the zoo and my two year announced from the parking lots “Hi animals, I’m coming!”. We also got the kite out. We are really not very good at kites. 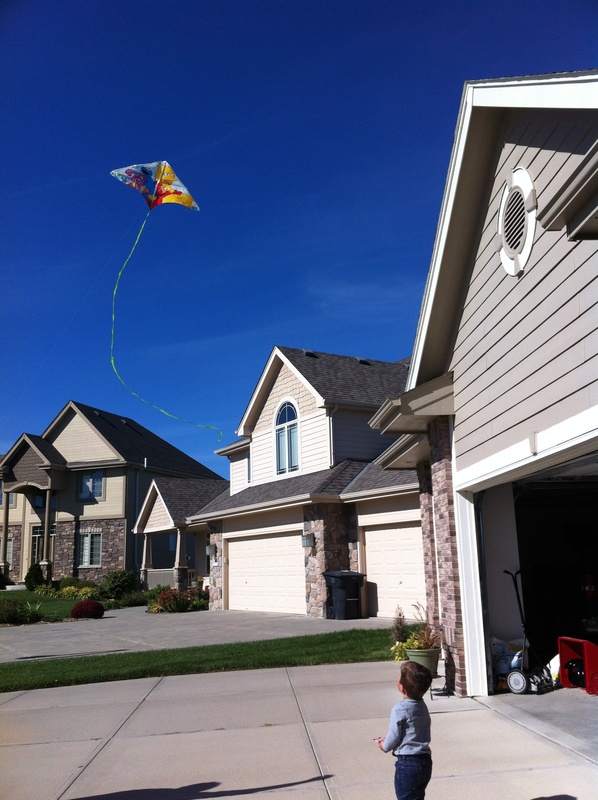 A few minutes after this picture was taken, the string slipped out of my husband’s hands and the kite ended up crashing into the neighbor’s roof! Rest days are crucial to any running program, to allow your muscles to move in different ways, recover from your running workouts and rebuild strength. None of that means that rest days have to boring, however and now that I’m more active overall, I find that my “rest days” have become a lot more active like this one! – Set a goal race! Over and over in articles I’ve read about starting to run, they suggest signing up for a 5K or other short local race to give yourself a goal. I thought that was silly, because of course I’ll stick to my plan – I’m all about overhauling my lifestyle, right? That is true, but I forgot to factor in the horrendous winter weather we get in Omaha. Soon, I was down to running only once a week and if I didn’t have a 5K scheduled on New Year’s Day, I may have fallen off the wagon all together! Give yourself plenty of time (and more weeks than your training plan calls for, in case you have to repeat weeks or get off track for a bit) but find a low pressure local fun run to give yourself a deadline and a goal. Even if you don’t run the whole thing (and I didn’t run all of my first 5K), it’s a fun atmosphere and will feel like a little victory lap after all of the training you’ve done! Don’t be afraid to take the first step if you want to run. If I could do it, anyone could do it! Weekly Recap: First week post 10K & I kept running! I know that is a weird sort of accomplishment, but I was a little worried I’d hit the not insignificant milestone of my first 10K and decide that was enough. It was 6.2 miles, something unimaginable a year ago and something that was fun and empowering. It is a big and worthy achievement in itself, but I promised myself more. I promised myself a half marathon. There is definitely part of my mind that immediately started getting a little freaked out after the 10K by the idea of really training for a half marathon. Despite doing the 10K, which is almost half the distance I’ll need for the Princess Half Marathon, part of my brain doesn’t believe that I could ever actually complete 13.1 miles. Given all that, it really does feel like a huge accomplishment for me this week to step right back into the runs I had planned for this transition week between the 10K and half marathon training. I may be a little intimidated by the idea of half marathon training, but I will not let that keep me from doing this! Onward! 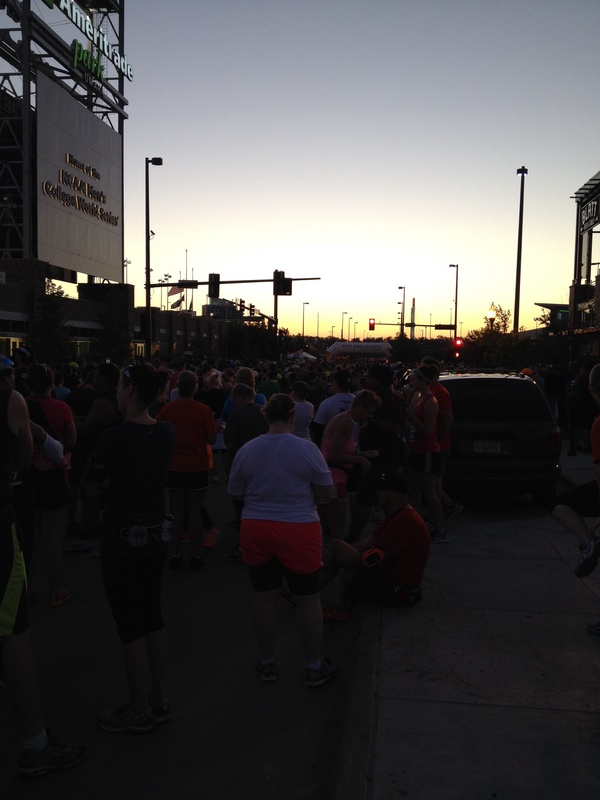 Sunday 9/22/13: Omaha 10K! Longest run ever, met my primary goal of running it all and finished faster than I expected (68 minutes)! We spent the afternoon walking around a local pumpkin patch, tacking an extra 6000 steps onto my day. Good practice for walking around Epcot after the Half Marathon, right? 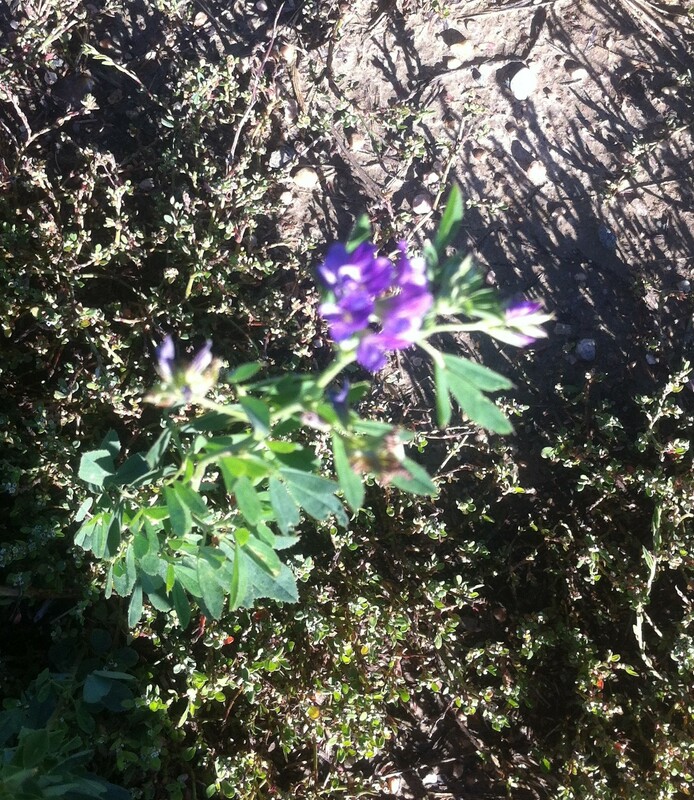 Saturday 9/26/13: First run for distance post 10K, with a plan for 3 miles. I’m thinking about doing walk/run intervals for the half marathon, so practiced with a 10 minute run and 1 minute walk break. I ended up with an overall pace of 11:20 minute:mile, which is much better than the two treadmill runs of the week and closer to the 11 minute miles I was running in 10K training. It was an absolutely gorgeous afternoon and I felt good for the most part (a couple of steeper hills than I was expecting, since I was running a slightly new route). My 2 year old always picks me flowers, which I think is absolutely sweet, so I found a couple for him on my run and brought them home. He was a little grumpy because his nap had been delayed, so he definitely needed the cheering up. The look on his sweet face was definitely a nice reward. I can objectively acknowledge that Pizza Hut’s pizza is so not worth it and yet the smell of that pizza, when I was tired and left alone with it, was really hard to resist. More than the pizza, for me, were the breadsticks. 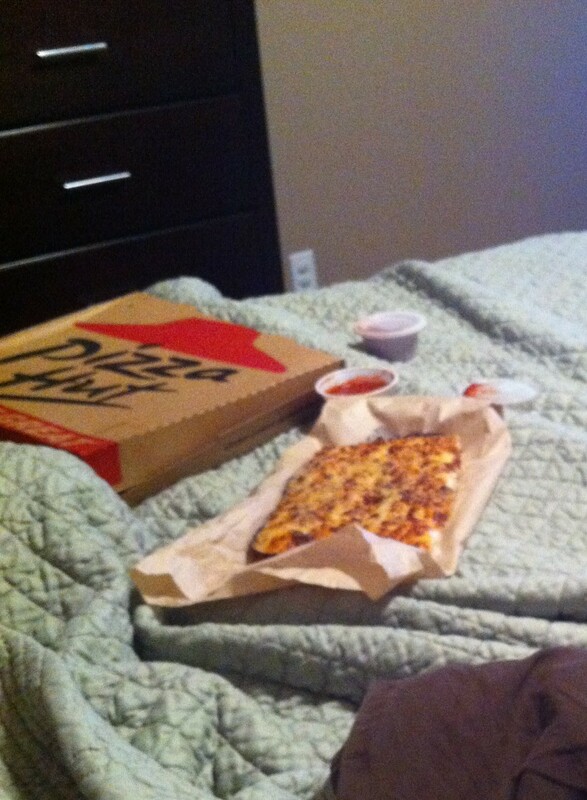 Pre-weight loss, I routinely at an entire large serving of breadsticks as well as at least a medium pizza. Cheesy garlic breadsticks were my comfort food drug of choice, for sure. I have no idea how many grapes I ate during the time I was resisting the breadsticks, but I did resist the breadsticks I am proud to say. Bless my husband, he did offer to take it out of the room to eat if I needed it. I wasn’t even hungry – the scent memory just pulled really hard at my control tonight. Next week I officially start the half marathon part of my training plan. I have three runs: 3 miles, 3 miles and 4 miles, plus a cross training session and a fifth workout that will be either cross training or a 2 mile run. I’ll be traveling, which is always interesting in navigating finding healthy food, safe places to run and ways to avoid emotional eating because I’m missing my guys back home. Wish me luck (and my husband, who’ll be home with the 2 year old playing solo parent!). When I first started running, it was all I could do to get through my 30-60 second intervals, much less worry about how far I was traveling in that time. In most Couch to 5K plans, they present the option of running for time or distance and as a true newbie (and a heavy newbie at that), I focused just on the time intervals. I think trying to run by distance early on would have been too intimidating and I would have pushed myself too hard too fast. Also, early on, I had no way to measure my distance easily as I was just jogging in the neighborhood – not on a track or with a GPS. The problem with doing the Cool Runnings Couch to 5K plan (which is what I followed) by time was that the plan is designed to take you from jogging 60 seconds to jogging for 30 minutes. While I got through the workouts and got to the point I could run for 30 minutes without a break, I was nowhere near completing 3.1 miles. I jogged at a pace between 4-4.5 mph, leaving me well short of 5K at the 30 minute mark. After completing the structured Couch to 5K plan, I continued to run and gradually increase the time I was running each week until I finally got to the point I could do 3 miles without a break. For all of this, I worked on increasing my time rather than increasing my pace. As a beginner, running for time rather than distance helped me avoid pushing myself too hard and risking injury. If I’m running for 30 minutes regardless of how much distance I cover during that time, there is no real incentive to go faster, right? I can’t count the number of times I told myself it didn’t matter how slow I was running, I was still running (and I still believe that is absolutely true). When I started the 10K training plan in July, those workouts were based on distance. With almost a year of running under my belt, it seemed like a safe time to make that change. It was fun at that point to start to play with my pacing a little on the shorter runs, to see how much faster I could run the 2 or 3 mile workouts each week. My joints had enough experience and I’d built a nice cardiovascular base, so I was able to carefully push myself a little harder and faster than I had before. (As a side note, it was a little disappointing as a Weight Watcher to get fewer activity points as I completed the miles faster since the points for running are based on time not distance!) Making the shift to running for distance has been helpful in learning pacing and in building up to the actual distance needed at race time. This week, between the 10K and the start of my half marathon training plan next week, I’ve stepped back and had a couple of runs that were just for time rather than a certain distance. At the time I set up my training plan, this week’s workouts were chosen because it’s the baseline of the Galloway training plan (which utilizes time based run during the week and long runs based on distance). As my legs have been much more tired than I expected this week, I’ve been really grateful for these time based workouts! I tried not to let myself dwell on my pace (which was much slower than I’d been running pre-10K) and it has been very nice for both the mental and physical break between the 10K and half marathon. Tomorrow, I get back to running for distance. It’ll be a beautiful fall day for a run (and I’m entertained by the part of my brain that thinks it will be “just 3 miles”). 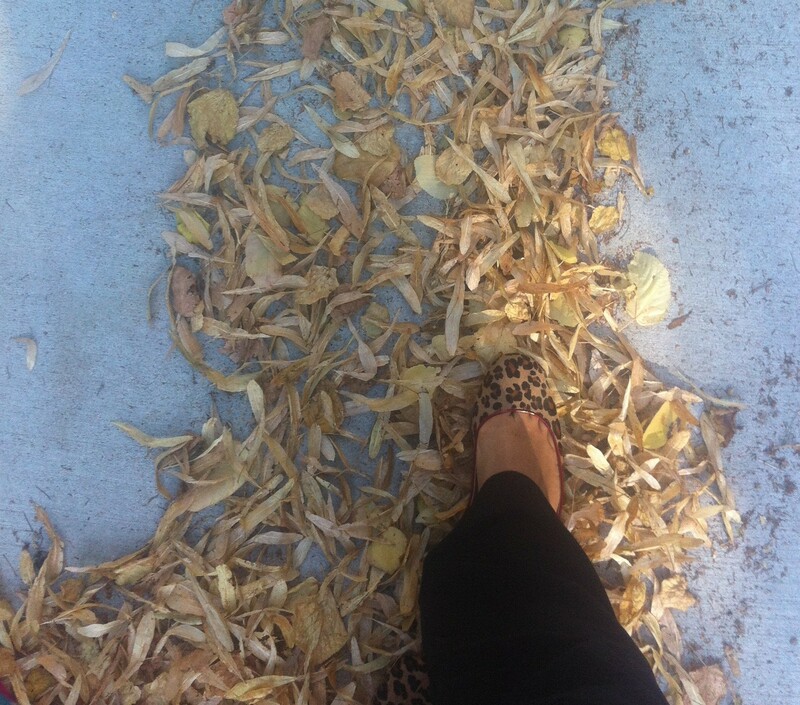 Love when the leaves start to fall! How do you approach your training runs? Time or distance? After accidentally running over my Timex GPS (Omaha Midnight Run), I decided to go ahead and replace it before the Omaha 10K. Rather than getting another Timex, I looked around to see what my options might be. I’m not that interested in heart rate training at this stage in my running life, so paying hundreds of extra dollars for a device that would have that capability seemed a little impractical. I looked at the Nike SportWatch, but was worried by the reports of it fogging up easily (I am a super sweater). I also looked at just replacing the Timex with the same model, as it was the cheapest option and I was familiar with it. Ultimately, I decided to try the Garmin Forerunner 10 because it had a few upgrades the Timex didn’t offer (or if it did, I never figured them out!). It was a little more than the Timex ($130 vs $80-100, depending on color) but offered both virtual pacing and a built in interval timer, which were attractive options. I also liked the idea of using the Garmin software to track runs. So far, I’m very happy with this decision! It is definitely worth the extra money in terms of simplicity of use. There are only four buttons (backlight, a little runner that starts/pauses/selects options, an arrow to scroll through screens/options and a back button). Overall, I’ve found it be very intuitive and easy to navigate (although it also came with an instruction book that is much easier to follow than the Timex was!). The buttons are big and easy to push during a run, but the whole watch feels smaller, lighter and lower profile than the Timex. The numbers are big and easy to see – not much cluttering the screen, which is good for me as my eyes aren’t the best even with contacts. One of the buttons is an arrow that lets you page through those options on the run. It might be nice if you could easily configure which two you could see (pace and distance or pace and time, for instance) but so far I’ve found this easy to use for my fairly uncomplicated running regimen. In some ways, it is actually helpful because it keeps me from obsessing about my pace unless that’s my specific objective in a given workout. For the first half of the 10K, when I wanted to be careful not to overdo it and run out of gas, it was really nice to only see the distance and not worry about if I was near the 11:00 minute mark I wanted to be at per mile. It picks up GPS signal fairly quickly (less than 30 seconds) and seems accurate, as far as agreement with my prior distance measurements using MapMyRun or the Timex or the measured 10K course were concerned. It offers a virtual pacer option and an interval option (although you cannot use both simultaneously). I’ve used the virtual pacer, which was easy to set up – you choose your pace (wouldn’t work for walking unless you’re a really speedy walker as the slowest pace option was around 15:00 minute miles, if I’m remembering correctly). With the virtual pacer, you get updates that flash across the screen to let you know that you are “On Pace” or “Ahead of Pace” periodically along with an audible beep that tells you there’s an update, which is nice. You need to set this up before you head out as the settings can’t be changed once you’ve got the GPS on. It also also an interval timer, in 30 second increments, that will light the screen and audibly beep to alert you to the interval period. This could be very handy if you’re using a run/walk interval plan. As I’m considering some walk intervals in my half marathon training, this was an appealing option to me. I haven’t tried it out yet, but will update you when I do. Again, this has to be set up before you enable the GPS for your run and can’t be run at the same time as the virtual pacer. With the autolap function enabled, the watch automatically saves information at each mile and will beep and backlight screen to show you the information for each mile as you’re going. It also includes fun little updates like “Fastest Mile!”. I love when my electronic devices get excited for me. 🙂 At the end of the run, you can review your splits on the watch screen and I find the print big enough to read easily. It also will update you with “New Longest Distance” and “Fastest 5K” and things like that on the watch screen itself. It connects to the computer via USB cable to charge and to update your information in the Garmin Connect system. This has been my first experience with Garmin Connect and so far, I enjoy it. 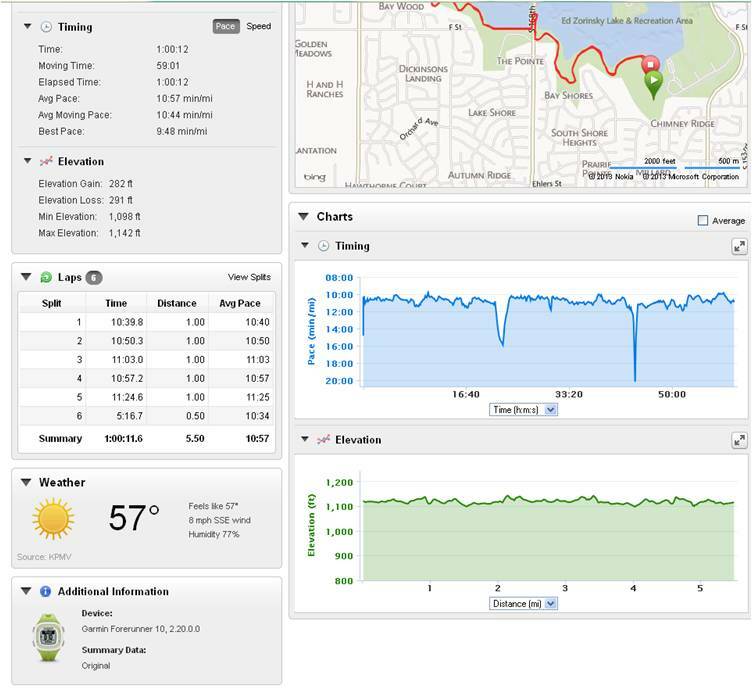 It will automatically track and display information for each run, including distance, pacing (the blue graph), elevation change (the green graph) and numerical info about your splits. The battery life has been good for me so far, but I haven’t had it out for more than an hour or so continuously so that isn’t much of a test! 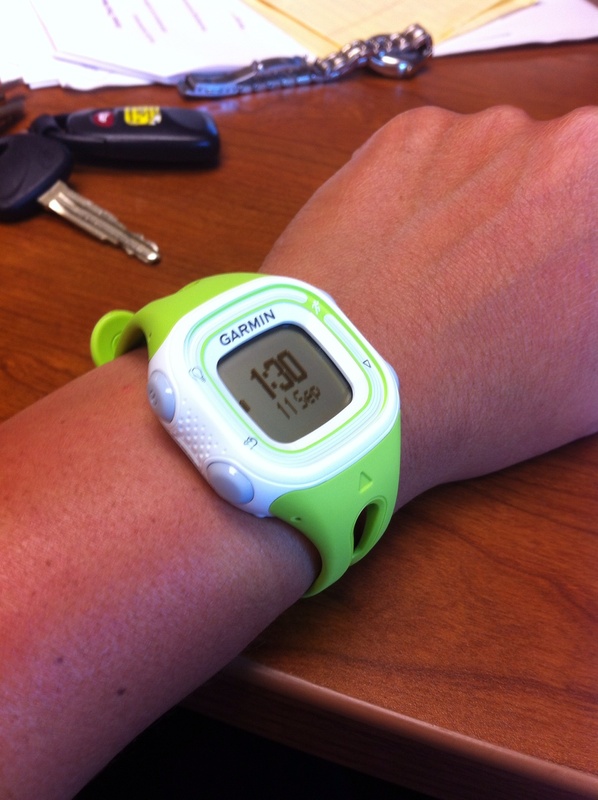 According to Garmin, it has the battery capacity for 5 hours of GPS functionality and much longer as a watch alone. Overall, I’m really pleased with the ease of use, screen display, data collection and virtual pacer – all things that feel worth the extra amount I paid over the Timex GPS I’d had before. If you’re looking for an entry option in the GPS world, this is definitely one to look at. **As always, not a sponsored post – just my review of a product I personally purchased and enjoy. Do you run with a GPS? What about heart rate monitors? Do you buy your race photos? I can’t think of where I’d hang them if I did buy them! As part of Brooke’s Back to Basics challenge, each week we focus on one of the core tenets of healthy lifestyle changes. This week, the focus was on getting activity each day. I’ve already talked about how much I love and use my pedometer every day (One Step At a Time) but today I thought I’d also touch on some of the non-running activities I’ve tried. Some of these I’ve liked and stay in my weekly rotation – some have been experiments I haven’t repeated. I try to run 3-4 times a week and do other activities on the other days of the week to get my physical activity in. This helps me to both decrease the chance I’m getting a running injury from over use and also to use muscles I don’t use in running. Plus, I just enjoy some things (like dancing!) and don’t want to give them up all together! My favorite and most frequent non-running exercise is definitely walking. It’s easy to fit a walk anywhere in my day and is definitely the cheapest and most accessible way to start exercising if you’re new to physical activity. 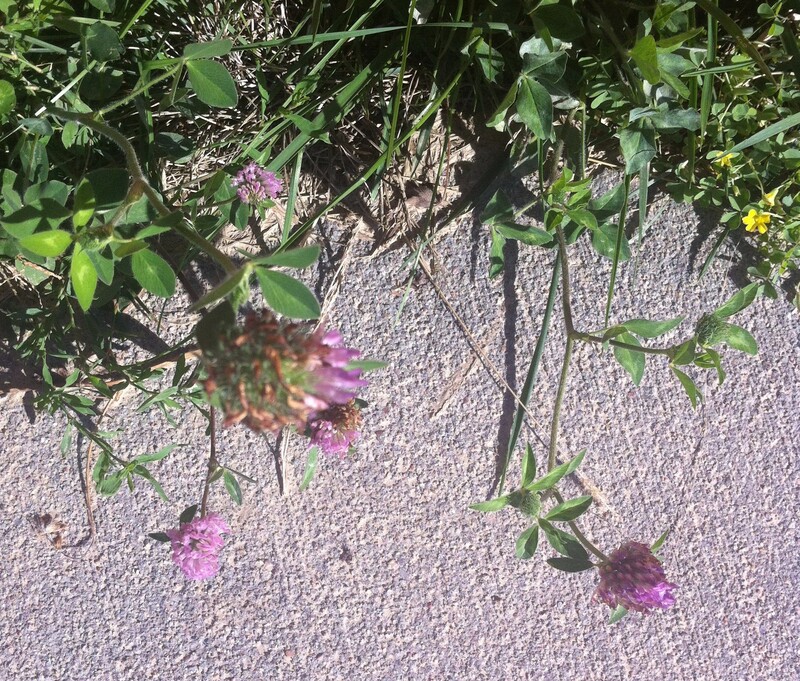 Start small, even if it is just to the end of the driveway, and work your way up slowly. You don’t even need particularly fancy shoes to walk (or shoes at all some days, although I certainly wouldn’t recommend it routinely!). I walk in my neighborhood at least once a week and also occasional walk on the treadmill if the weather isn’t great, playing with hills and speed intervals. I also really enjoy yoga and find it helpful from both a stress relief perspective and a flexibility/muscle strengthening perspective. The first time I was able to run 20 minutes without stopping to walk was actually right after an intense lower body yoga class. I like the yoga videos and routines on SparkPeople and use those when I travel. I’ve also done classes at my gym when my schedule allows (seemed intimidating at first, but once I got over the fear of stepping in the door I realized it was really not that scary). 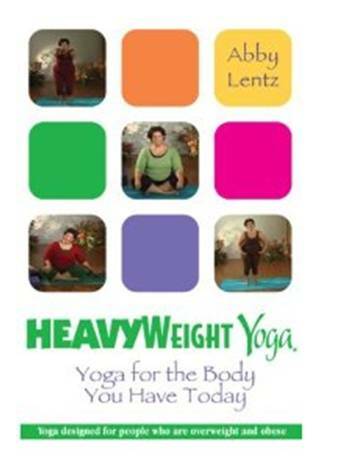 There’s a DVD I started using when I was very overweight that I still use today call HeavyWeight Yoga. I really like the instructor’s approach to modifying movements based on what your body needs and the routine itself feels very thorough. The one big piece of exercise equipment I have at home is a stationary bike. When I first started exercising, this was a nice low impact way to get in my physical activity. I also have a bicycle (currently with a flat tire) that my husband and I used to ride together before we had O. I honestly still find the real bike a little terrifying (worried about not being able to stop!) and a little rough on certain parts of my anatomy, but will use the stationary bike on rainy days or days I’m home on kid duty and can’t get outside. It’s a nice to get some activity in while catching up on TV. I definitely don’t feel like I push myself as hard on the bike as I do with other forms of exercise, personally, but it is easier on my knees and joints. I first tried Zumba when I was going to Curves and they had a special workout when you did a few Zumba dance moves between the pieces of weight equipment. It was fun, but a little slow paced. I tried a Zumba class at my gym after I started losing weight and really loved it! For those who haven’t done Zumba before, it’s a dance-based aerobics class, frequently using Latin or latin-inspired music. The nice thing about Zumba is that it really just about movement. In the classes I’ve attended, there are women of all different skill levels and no one really seems to care if you’re off the beat or doing the steps wrong as long as you’re having a good time. They present modified versions of the steps so that you can do it as high or low impact as you’d like. It’s a really intense workout, but really fun and the time flies. I’d definitely recommend trying it if you’ve never done it – it attracts people of all ages and fitness levels, so it is definitely the least intimidating fitness class I’ve ever done. I have lots of workout DVDs at home, but a few favorites that I keep going back to. 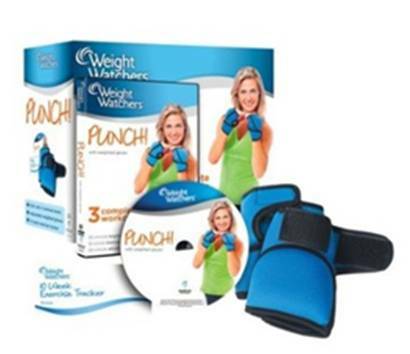 In addition to HeavyWeight Yoga, which I mentioned above, I like the Walk Away the Pounds DVDs and the Punch! Weight Watchers DVDs. Walk Away the Pounds is a series of workout DVDs by Leslie Sansone that is basically walking inspired low impact aerobics that you can do in your living room. It’s modifiable for your skill and intensity level and a really good place to start if you’re intimidated by the idea of exercising out in public where someone could see you. I still like to do them because they include some side-to-side movements, which are good for stabilizing my hips as a runner. I confess, I usually do these with the sound off because I find the talking annoying, but the workout itself is great. Lastly, we have several different Wii games that are active and a good way for us to get in some activity as a family without feeling like a “workout”. 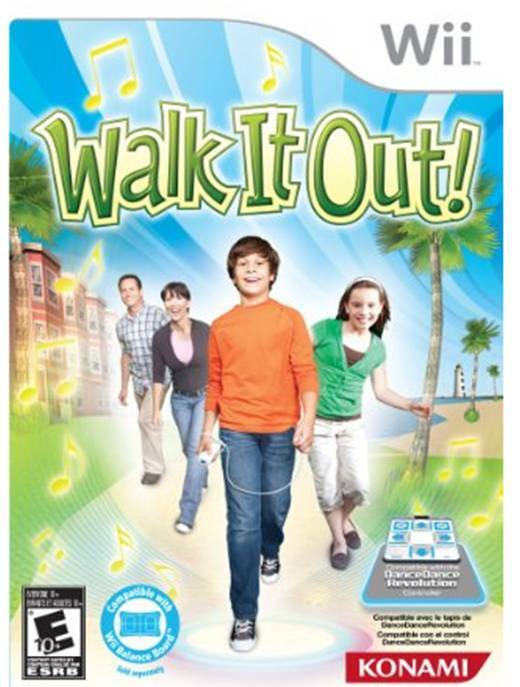 I particularly like the Walk It Out game, where you put the controller in your pocket so that it measures your steps while you walk in place (or in circles) in your living room to the beat of the music. As the songs change, so does your pace, which keeps things interesting. With each step on beat, you accumulate points that you can use to build things on the virtual island you’re walking around in the game (like windmills, trees, flower fields, etc). 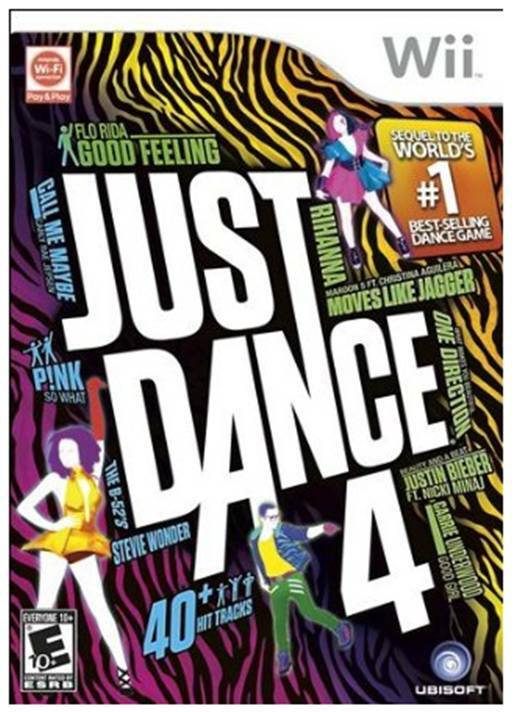 We also have a couple of dancing games, including Zumba and Just Dance. I find the Zumba game a little frustrating because unlike Zumba classes, which are all about fun and not about hitting the specific hip motion exactly right, the Zumba Wii game is a little specific & judge-y for my taste. Just Dance is a lot more fun and I always end up sweating. My little boy loves to do it with me and my husband loves to pick the songs for us. Definitely consider things like Just Dance in addition to your traditional workout games – if you’re moving, it counts!! A couple of other random things I’ve tried include a trampoline based workout class (seemed easy at the time, but I was so sore it was hard to walk the next day! ), a stripper class (requires you to really let go of some inhibitions, but I learned some new skills and definitely used some different muscles) and a ballet-fusion class at my gym. I also spent some time with a personal trainer, which helped me learn appropriate form for strength training and build up a decent base of strength. Keep an eye out for opportunities for physical activity beyond the typical gym stuff. I love running, but also love having a wide variety of activities to choose from. It keeps me from getting bored and also keeps me from making too many excuses to avoid a workout. I always have a back-up plan – if I work late and can’t go for a run, I can do a DVD or ride the stationary bike or even just walk in place while I’m watching TV. Having lots of options helps me to keep this as part of my daily journey, which I know is good for keeping this weight off, good for my heart, good for my blood pressure and good for my insulin resistance. It is okay to start small and don’t feel like you have to run 5 miles in order for your workout to count. Every step counts! **None of the products referenced here are anything I’ve been sponsored to promote – just things I personally enjoy. Don’t do anything to lose the weight you aren’t willing to do every day! For Weight Loss Wednesday, I find myself thinking about the best piece of advice I came across when I was starting this journey: Don’t do anything to lose the weight that you are not willing to do every day for the rest of your life. I cannot tell you how many times I reminded myself of this along the way, when I had stalled out in a bit of a plateau or read about the new latest diet cure all. I thought of it when I was tempted by well meaning friends who would talk about how Weight Watchers hadn’t worked for them, but the new “xyz” thing they’re doing is fantastic! Something different works for everyone, I know, but there were definitely times it was tempting to take shortcuts. I got especially tripped up any time I found myself up against a timeline for weight loss. When I told myself I would really like to reach Onederland for New Years (i.e. below 200 lbs for the first time in ages), I found myself eating less than I knew I should and letting myself get hungry. I completely avoided certain foods. All things that I knew I couldn’t do in the long run. I stalled out right before my goal and found myself tempted again. It is so hard to stay on the path to a healthy lifestyle rather than a diet, but it’s a choice you have to make every day. For me, I know that the only way I’m going to keep this weight off is to keep doing the things that helped me lose the weight in the first place. That means there can’t be foods I can never have – I can’t live like that. If you tell me I can’t have pizza, that’s all I’m going to want. I can live with “Not right now” a whole lot easier than “Never”. “Not right now” gives me the control, not the diet, if that makes sense? That also meant along the way I had to find things that I could do forever that fit in this healthy lifestyle. 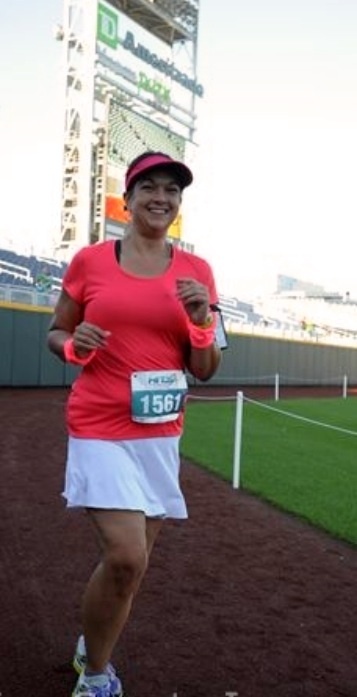 I found running, which I love, and Zumba, which I love. I tried a stripper workout class – interesting, but not something I could rely on for fitness for the rest of my life (and wow the bruises!). I found that weighing in and going to meetings every week really helped me (and I still go now – even when I don’t weigh in). I found healthy foods that I love and can happily eat every day forever. The process of losing weight teaches you what you’ll need to maintain if you pay attention to what works for you and what doesn’t. Every day, I wake up and make the choice to keep doing things I know I can do every day and not let the number on the scale or the way my pants fit send me down the rabbit hole of quick fixes. 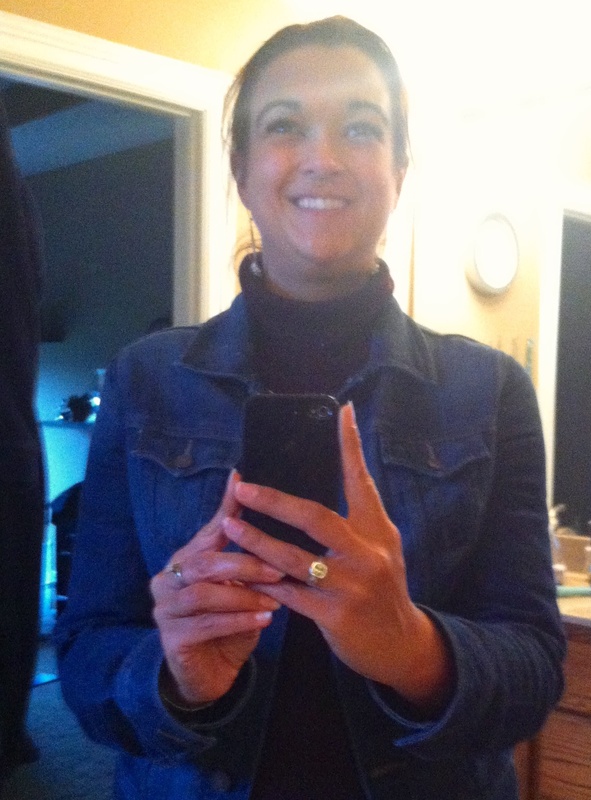 I may not say “Never” about any foods, but I am saying “Never” about regaining this weight. I am never going there again. Never going here again. 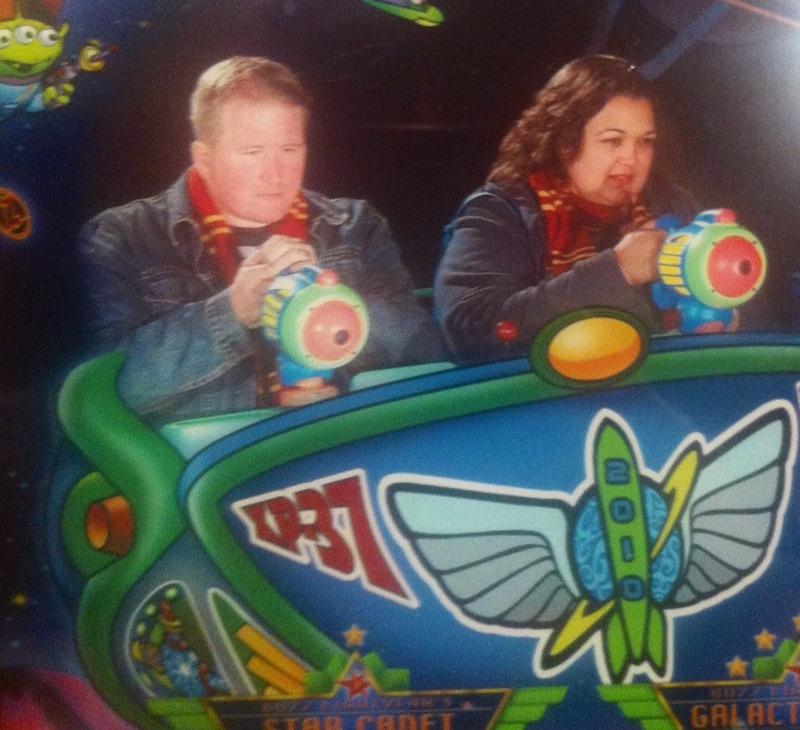 This picture is from our trip to Disney World in 2010. My little boy looked at it yesterday morning and pointed out Buzz and Daddy and when I asked him who else was in the picture, he pointed at me and said “who that”. I said “Mommy” and he “no, no mommy”. Looking at the picture, which is certainly not flattering, I can see where he wouldn’t think that was me. I am grateful that he won’t remember me that way. I want to be sure I continue to be a healthy role model for him. That’s a good reason to make those healthy choices every day. What’s the best piece of advice you’ve heard about making a lifestyle change? 1) Don’t stop moving! Walk around, stretch gently, even dance in celebration but keep moving to help keep your blood flowing and move all of those metabolic by-products out of your muscles after they’ve just worked so hard for you! Things that move your muscles in different and gentler ways than the running you just did for miles and miles are best but whatever you do, avoid extended sitting! – Post-10K, we went home so I could shower and then we headed out for brunch. Then we spent the rest of the day at a local theme park/pumpkin patch and ultimately logged another 6000 steps on the FitBit before I was done for the day. My legs felt tired and my IT band was a little tight (better after some rolling), but I wasn’t really sore. Anytime I sat down, however, it was really hard to get myself back up. Staying in motion is going to be key post PHM! 2) Eat! So many of us run just so we can eat more right? Isn’t it nice to know that this is such an important recommendation post-race! Most sources recommend eating a mix of easily digested carbohydrates and protein within 30 minutes post-race to start replacing your glycogen and continuing to eat frequently throughout the day, with an emphasis on easily digestible carbohydrates. – For me, I had a bag of grapes and half a cheese stick (intended to have a whole one, but there was no way O was letting me open a cheese stick in front of him without him eating it – I’m lucky I got half!) as soon as I finished. I had those waiting with my husband. We then went out for brunch, where I had some fruit, an omelet, salad & chicken. I was weirdly not hungry the rest of the day, but I made myself eat a good dinner and post-dinner snack. Monday, the day after the race, I was starving all day! At the PHM, we’ve booked the Race Retreat / Platinum ChEAR package (mostly because we’ll be doing this with a two year old and the added entertainment for him while waiting is worth it) so I’ll have breakfast available as soon as I’m done. We’re also planning on using Amazon and/or Garden Grocer to have some of our favorite snacks delivered to the resort, so I can always have something healthy and that I know my stomach can handle. 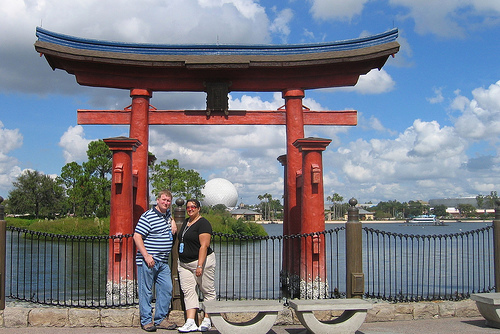 Of course, we’re planning on spending that day in Epcot and I am looking forward to snacking my way around the World Showcase! Even better, if the pattern holds true and I am again starving the day after the race, we have Be Our Guest booked for Monday night post-race! Plus a day at Walt Disney World, complete with Dole Whip. Can’t wait! 3) Hydrate! Hydration isn’t just important during the race – it’s important to drink in the days before the race and to immediately start replenishing fluids and electrolytes post race too. – Post-10K, I felt thirsty all day after the race was over! I drank a 20 oz bottle of water with Nuun electrolytes as soon as the run was over (had to fight O to get to drink it – he loves water from bottles because he feels like such a big boy!) plus a big jug of water with more Nuun in the car on the way home. I felt like I was downing water all day and still felt thirsty into Monday. We’ll plan on a big bottled water budget for this vacation for sure! I like the Nuun tablets, personally, because they have electrolytes without the sugar. I’d rather eat my calories anyway and the Powerade/Gatorade type drinks tend to make me queasy since I so rarely drink anything with real sugar. 4) Warm, dry clothes! You want to change out of your sweaty clothes as soon as you can because a) you’ll get chilly and b) things like chafing/acne/skin irritation are more likely the longer you hang out in wet duds. Apparently lots of shivering and goose bumps are common post race, so having a sweater handy is nice. 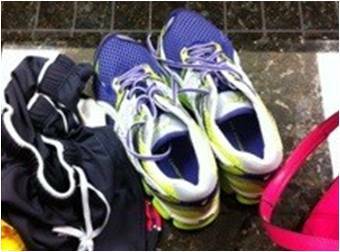 – I’m planning to have that with my husband again post-PHM rather than checking a bag, just like I did for the 10K. 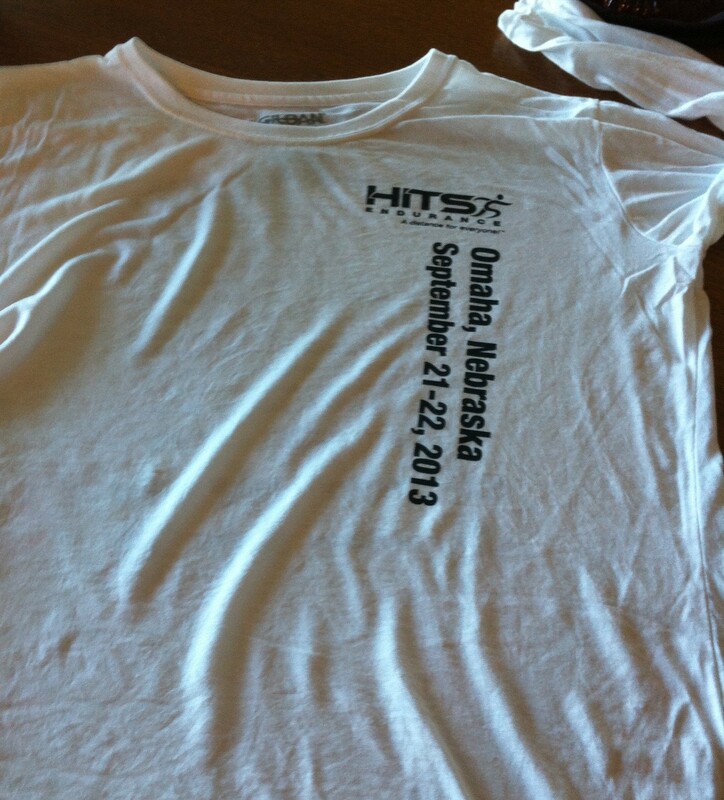 I certainly appreciated having the hoodie post-10K, but that may have been because it was a chilly Omaha morning. 5) Rest! This part is really hard and something that many training plans explicitly address, as far as when your next workout should be. A rule of thumb I’ve seen several places is to avoid hard workouts or races for several days post-race, up to 1 day per mile. That doesn’t mean you can’t run at all, but you should plan to keep workouts light and almost mirror your taper plan, in terms of gradually ramping intensity back up just like you eased it down pre-race. In the first couple of days, most experts advise avoiding any kind of running or cross-training because your post-race endorphins could be masking aches and pains that indicate injury or other concerns. – With the Galloway plan, there are specific workouts and days assigned for the week post-PHM and I plan on honoring those. Post-10K, I already felt like working out again the next day but gave myself the day off I’d promised myself and went back to normal workouts on Tuesday. 6) Massage? Most of my reading suggests only a light, brief massage immediately after the race to avoid increasing inflammation and saving anything more for 24-48 hours post-race. – I’ve booked a 50 minute Swedish massage for the Monday morning after the Princess Half Marathon. I’ll be sure to let you know how that works out for me! Stretching and foam rolling in the evening after my morning 10K certainly seemed to help my soreness quite a bit, so I’m hopeful that the massage will feel good post-PHM and not painful. 7) Reflect, Celebrate and Keep an eye out for post-race slumps! A little mood slump and depression after any big event can be very common. You see it after weddings, after graduations, after vacations and after big accomplishments like a marathon/half-marathon. I think it is human nature in many ways – we love having something to look forward to and gear up for and thus we get a little lost when that goal goes away. Some things that help with that can include taking the time to reflect on your experience, in your own mind or outwardly, such as writing about it or scrapbooking. Be sure to really give yourself credit for all of the work you did, regardless of the outcome! Celebrate your accomplishments, big and small, and give yourself mental high-fives when you feel things starting to slip. Think about what your next goals are, whether or not they are fitness related. I’m sure RunDisney would love for us all to cure the post-race blues by immediately signing up for a new race. 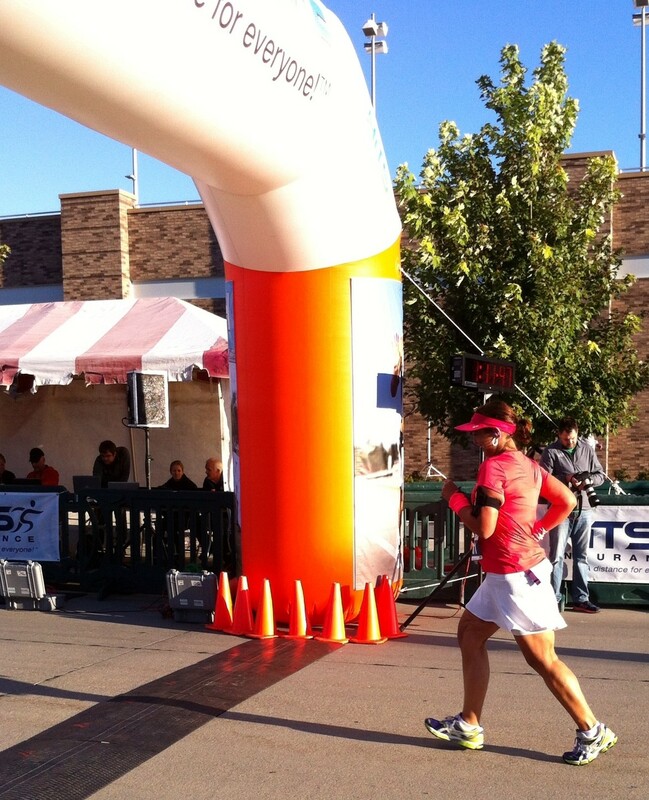 – I think blogging about the experience and deciding what my new goal is post-race will help. 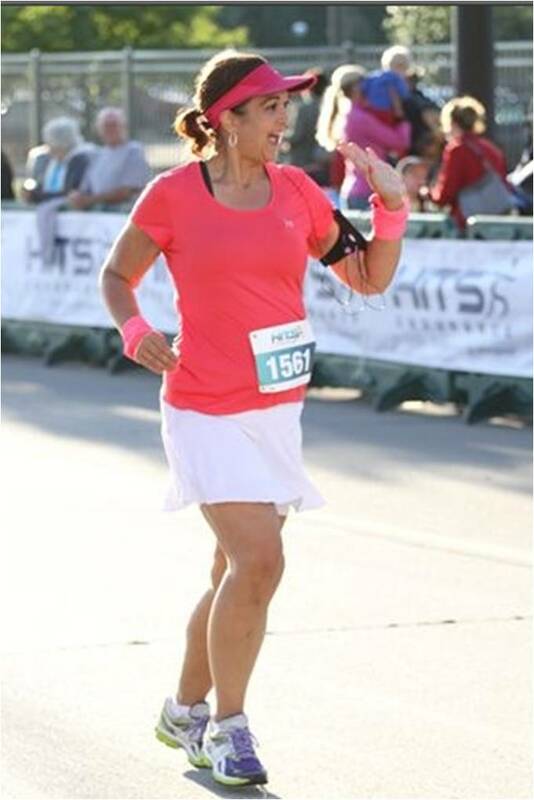 I know I am definitely a goal oriented person and will need a new one, like I needed the goal of the half-marathon after reaching my weight loss goal! 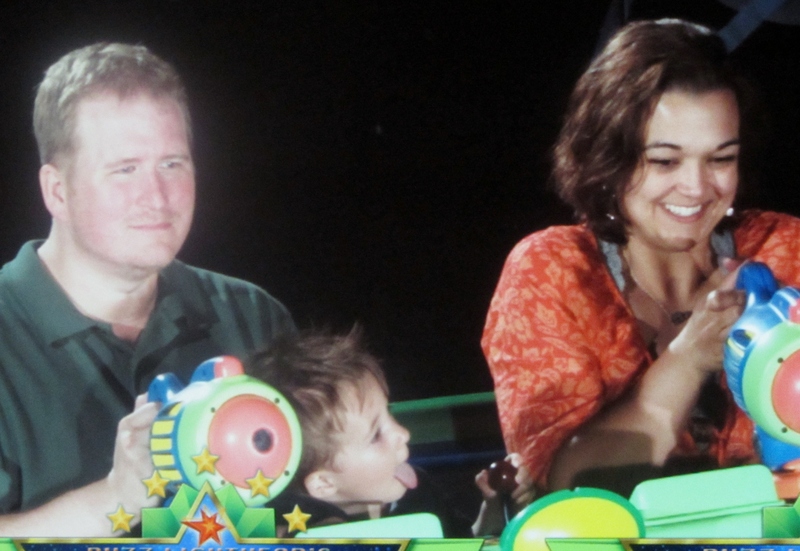 I’m not sure if being on vacation with a two-year old is going to help or worsen those post-race blues! I guess we’ll find out. Do you have any post-race rituals or tips that have worked for you? This will definitely be by biggest ever physical endeavor (exceeded only by giving birth, I’d guess) so I’m not sure what I’ll feel like or what will work for me, but I look forward to finding out. I’m really looking forward to practicing post-race recovery in the happiest place on birth! *I will not personally be going the ice bath route, although I know some experts like them right now. A) that kind of inflammation is necessary in some ways for the healing response and I don’t feel the need to short circuit it unless absolutely necessary since I’m not a professional or elite athlete and b) I really hate cold water. But for the most part, I just looked on Sunday to see what the following week’s training required (training week started on Monday) and made some tentative mental plans to get them all done, checking them off in my spreadsheet as I went along. The one part of the Higdon training plan (and any good training plan I’ve seen) that I didn’t do very well was the strength training. I keep reading over and over that strength training will help me run faster and more safely (ie less injury), so I know I need to make this a priority going into the half marathon training plan. I think I may add specific strength exercises to my spreadsheet to check off. It wouldn’t take long – I just need to make it a priority. For the half marathon, I made a hybrid of the Hal Higdon and Jeff Galloway approaches. Now that I’ve completed the Hal Higdon for the 10K, I am glad that I’m going to keep some of his principals in the half marathon plan because I liked his approach. I feel like the gradually increasing miles during the week, not just the long runs on the weekend, really helped increase my overall fitness and speed. 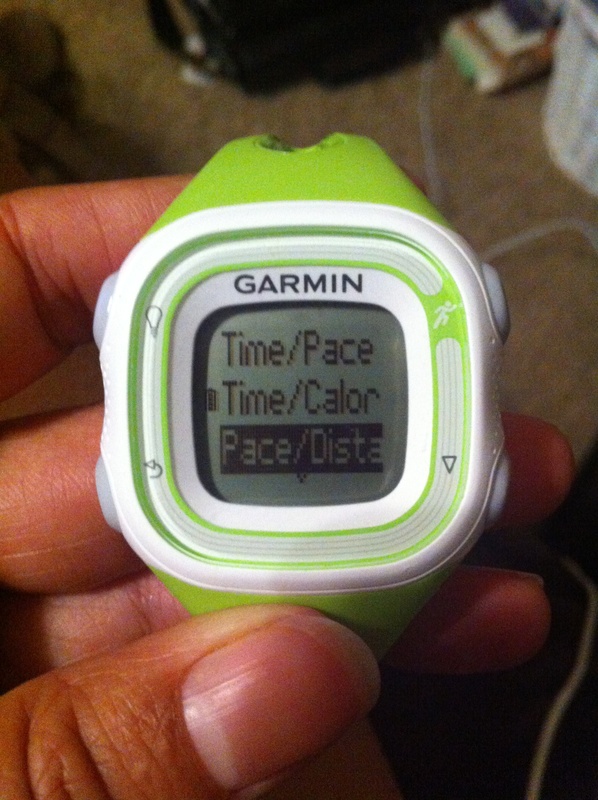 It particularly helped my speed, I think, because I played with pacing a lot in those shorter runs. I definitely see the advantage of running for time when you’re starting out, because it keeps you from pushing to finish your miles too quickly and hurting yourself, but now that I’ve got 10K training under my belt, I think I’m fine to continue to running a set number of miles for weekday workouts, as in the Higdon plans, as opposed to running for time, like in the Galloway plan. The Higdon plan also does not have you go all the way to 13 miles before the Half Marathon (the Galloway plan goes to 14). It goes to 10 miles and relies on the strong base you’ve built (the weekday runs increase in mileage over the training plan too, not just the long runs), plus the enthusiasm of race day, to carry you the rest of the way. I looked at several other plans for half marathons and most of them ended at 10 miles, so I think I’m going to go with that approach (although I reserve the right to change my mind as things go along!). It will decrease the chance of injury with unnecessary long runs and I like the idea that my longest run ever will be at the Princess Half Marathon. I know for the 10K it felt like an extra layer of success, knowing I’d just finished my longest run ever, regardless of the time. Unlike the Higdon plan, the Galloway plan has a drop back in mileage every other weekend to allow you to recover. This seems like a nice way to avoid burn out and injury and for my particular work schedule, could be very handy, so I’m planning on that for now unless I get bored or feel like I’m losing too much steam doing that. I definitely do not want to push too hard and get hurt. The other thing I really liked from the Galloway plan was that it included specific recommendations for runs to complete AFTER your half marathon. I love that I don’t have to wonder what to do next to come down from that big event. A couple of weeks of prescribed runs, while I figure out what I’d like to transition to after the Princess Half Marathon (ie training for another race, working on speed or just maintenance runs), will be a nice mental relief. As with the 10K plan, I’ve planned on repeating any weeks where I’m on call so I don’t skip an important step up in mileage if I get caught up at work. I’ve also already looked ahead to the weeks I’ll be traveling, the runs I’ll need to do then and scoped out routes I can run. I’m looking forward to posting about my runs in San Francisco and Rhode Island next month and in Arkansas in November! Only 5 months until the Princess Half Marathon!! This weekend, I tackled my very first 10K. Very exciting because a) first race at this distance so automatic PR! and b) my longest run ever! I initially signed up this 10K as a mid-point goal to test my ability to stick with training plan before starting Princess Half Marathon training. It also gives me a timed 10K to submit for corral placement at the Princess Half Marathon. I have felt really good about all of my long runs in training coming up to this run, but did get a little freaked out in the last week before the race at the idea that I was an athlete. I dealt with excited nerves all week! I reminded myself to hydrate well during the days before the run and tried to get a decent night of sleep at the end of the week, knowing I wouldn’t actually sleep well Saturday night before the race Sunday (although I actually ended up sleeping well Saturday night!). I like to set several goals for the run, so that I have a few tiers to aim for, depending on how the day is going. Interestingly, when I set up my training plan for the 10K back in July, I made a note in the spreadsheet that my goal was a) to finish the 10K and b) to finish in less than 80 minutes, which would be maintaining 12 minute miles for the whole course. It’s amazing to remember that just a couple of months ago, that was a goal I knew I was reaching for – I definitely ran slower than that at the time (4.5 – 5 mph outside). My last several runs outside have been 11 minute miles (5.5 mph) without any dedicated speed training. Just running regularly has had such a huge impact on my pace! I’m going to try to run the first half at a comfortable pace, pick up the effort a little bit for miles 4 and 5 and then push as hard as I can in the last mile and avoid going out at my hardest pace right at the beginning. I’ve gotten better at steady pacing, but I definitely need to practice this! This race offered the ability to sign up to track your runners, like the Princess Half Marathon will offer. 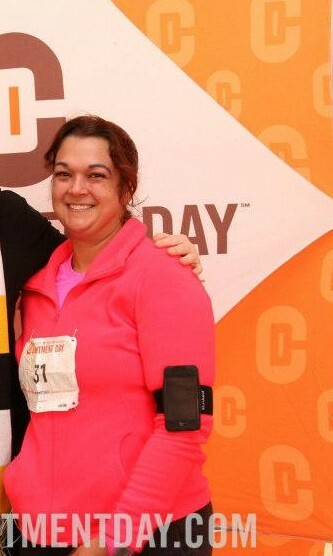 We signed my husband up to track me, so that he could bring O to finish line near the time I’ll finish. Having them at the finish line cheering for me is honestly one of the things I was most looking forward to! A big part of this is staying healthy for those two guys and being a good role model for O so that he grows up active and healthy. I just love hearing that sweet little voice asking to run with mommy. Looking at the list of runners on the notification sign up site, it looks like about 400 people are registered for the 10K. *Hubby didn’t get any emails until it was over. Thankfully, I’d turned on my Road ID app so he could see where I was running and knew where I was in the course because I’d printed him a course map. Hopefully the notifications will work better at PHM! I also drove the course since it went into a part of town I don’t visit often. It’s very flat except for a hill at the very beginning, so that was nice to see! I made a list (of course, anyone who knows me know I love a list!) for the things I needed to get ready Saturday so I didn’t need to think much when I got up early Sunday morning to go. It definitely helped with my nerves to already have everything ready to go! 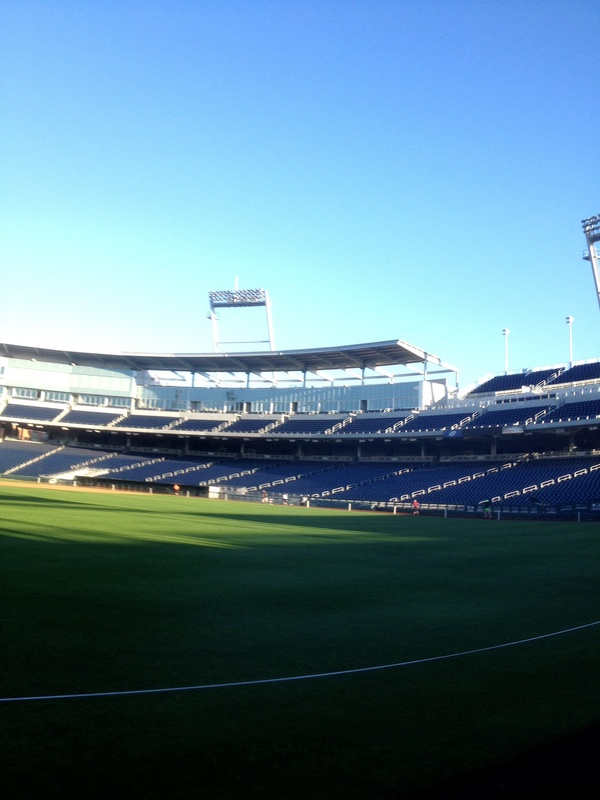 The race started at TD Ameritrade Park (home of the College World Series) at 7 am Sunday morning. They had the 10K, half-marathon and marathon all scheduled to start at the same time and location. We shared a course, with set points for each of us to turn around depending on the distance. 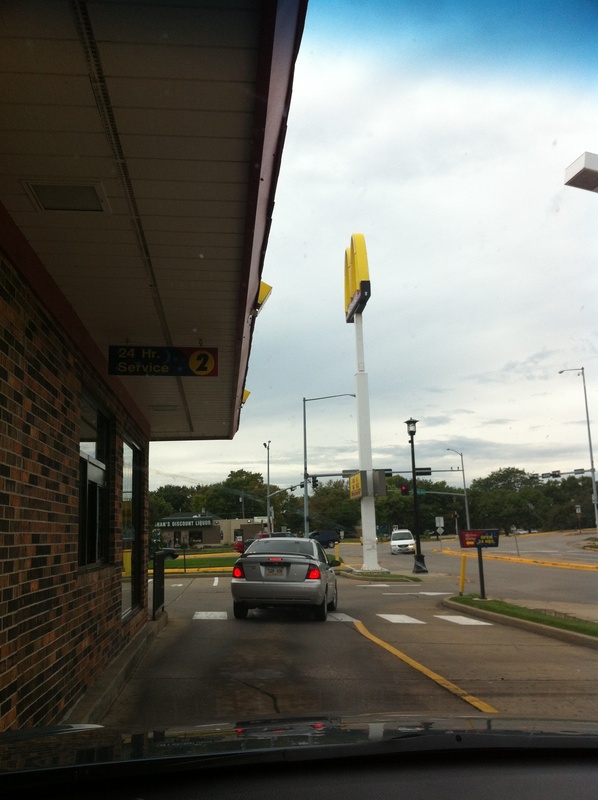 I stationed myself toward the back of the pack. With all of us mixed together, it stretched along 3 blocks! It was chilly, but kind of nice to be out starting this at sunrise. The race went surprising well! The crowd was really friendly and there were people out all along the course, which I haven’t ever experienced before. There were people with iPods and speakers playing music and lots of cheering and amazing signs. My favorite signs were one that said “Worst parade ever!” and “I just farted – run faster!”. On the way back, that group had on that said “Punch here to power up” (Which I totally did!). There were bands every mile, including a drum corps at mile one, a classic rock cover between miles 1-2 and a jazz band between miles 2-3. It was nice to have some kind of entertainment every step of a way, in addition to my own music. 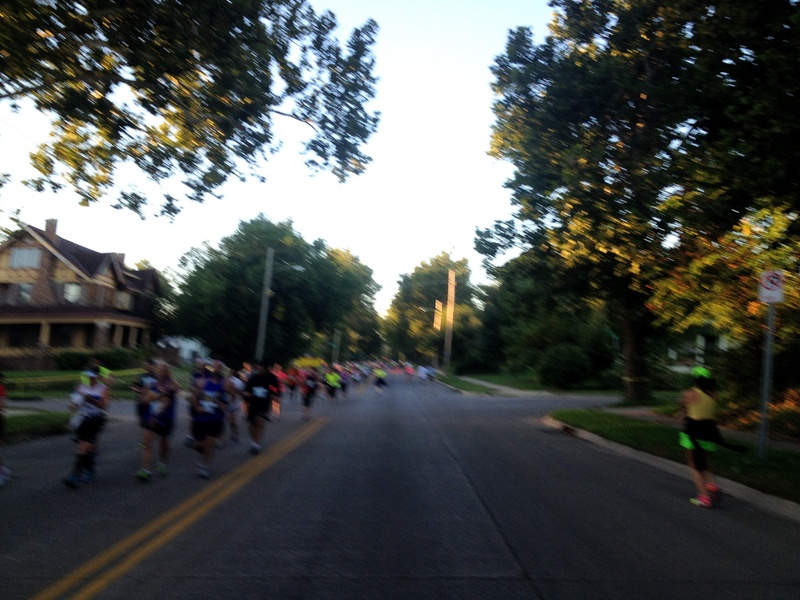 The course went briefly through downtown and then down a nice tree lined residential street, so it was very peaceful. *Sorry for the blurry running picture! For the first half of the race, I didn’t try to pick up my pace or to pass anyone. I just kept things steady and walked through the water stops like I planned. I was surprised at how fast the turn around came! 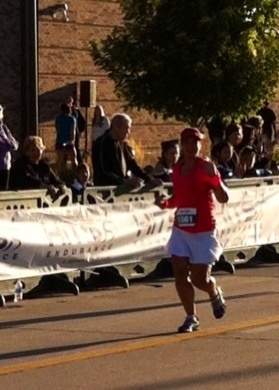 I felt like I had really good energy and no pain for most of the race. By the last two miles, I was definitely starting to feel it but knowing that a) I had a downhill stretch coming, b) my husband and son would be waiting for me! and c) if I could just keep running, even if I had to slow down, I would meet my A goal and I only had a little bit left! Because I had paced myself well in the first half, I actually had enough energy to pass people in the second half too, which was definitely motivating. One lovely volunteer at a water stop told me I looked beautiful (thanks to lots of pink and a cute sparkle skirt), which was also a nice boost. 🙂 Definitely better than being told I looked pregnant at the last race I did! I was surprised (and honestly a little disappointed at first, just because I was ready to be done!) to see that they had us turn off right before the finish line. 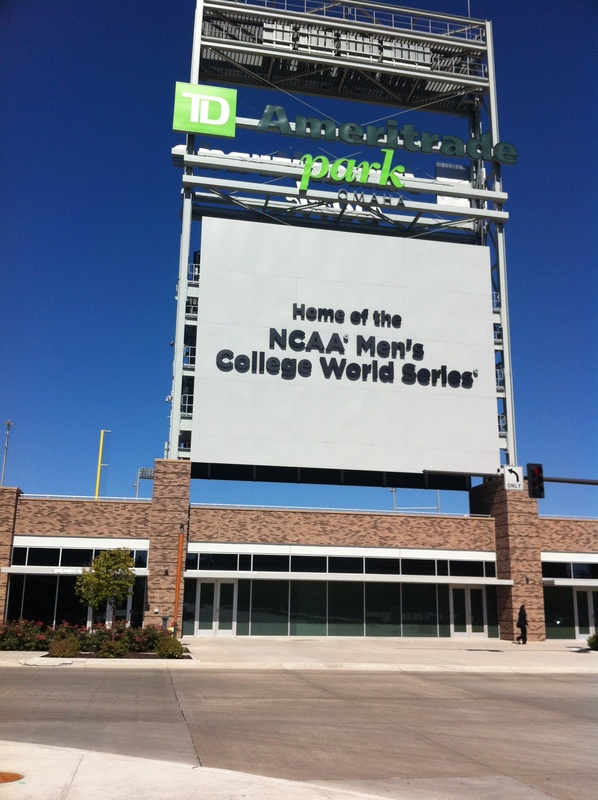 The last 0.2 miles were routed through TD Ameritrade park itself, which actually ended up being very neat. We ran around the field itself and were shown up on the Jumbotron. I really wish I’d gotten a photo of myself up there! The official race photo was also taken in there, so hopefully that will turn out cool. 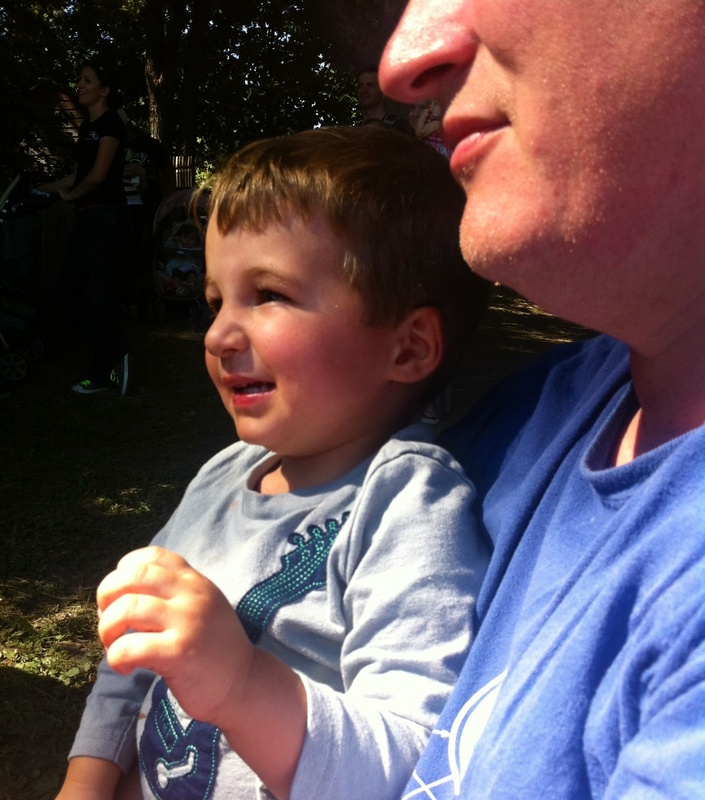 Instead of having my son and husband cheering for me, I had my poor husband trying to calm down an angry toddler! Apparently they’d both overslept and ended up rushing to get there in time, so O was not in the best mood. Still, it was nice to see them! D managed to get a couple of nice pictures of me finishing. They also announced my name and where I was from when I crossed the finish line, which was neat. I got my medal and a bottle of water and rounded the corner to go back on mama duty, soothing my cranky guy. Thankfully, I’d packed some emergency snacks (gummy fruit snacks and freeze dried fruit, both things he loves but doesn’t get often) so we sat in the grass reading books from the diaper bag and snacking together. He liked wearing the medal for me. 🙂 Such is the life of a mother runner. I’m still so very glad they were there for me! The half marathon winner finished a few minutes after me which is just amazing! There are some speedy people out there! We headed home and actually ended up spending the rest of the day at the pumpkin patch, which is good practice for going to the Disney Parks after the half marathon, right? My time ended up officially at 68:01, way faster than I ever imagined! I was faster than the overall average for the 10K which was also nice and I met my A goal of running all but the water stops. Most importantly, it was honestly fun. It was such a friendly crowd of runners and the crowd support was fantastic. It made me really look forward to the Princess Half Marathon and all of the things there will be along that route! 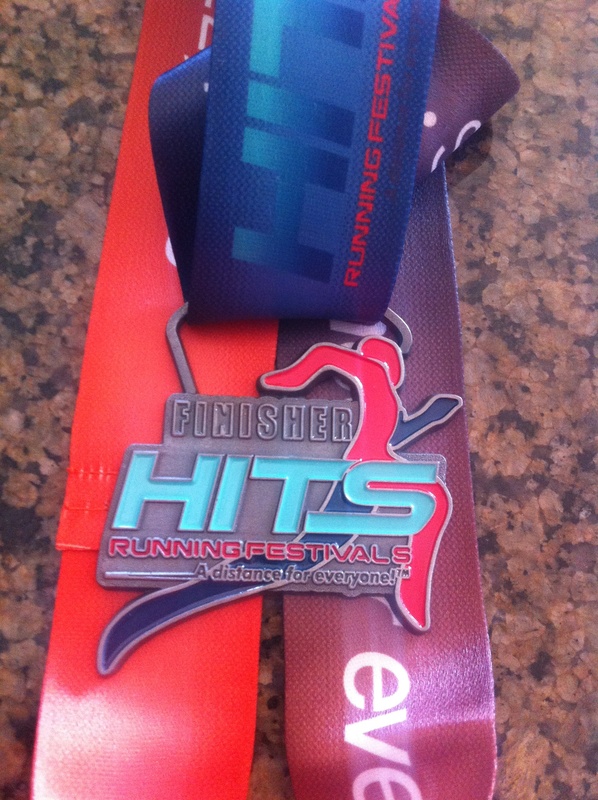 Weekly Recap: Getting ready for the 10K! 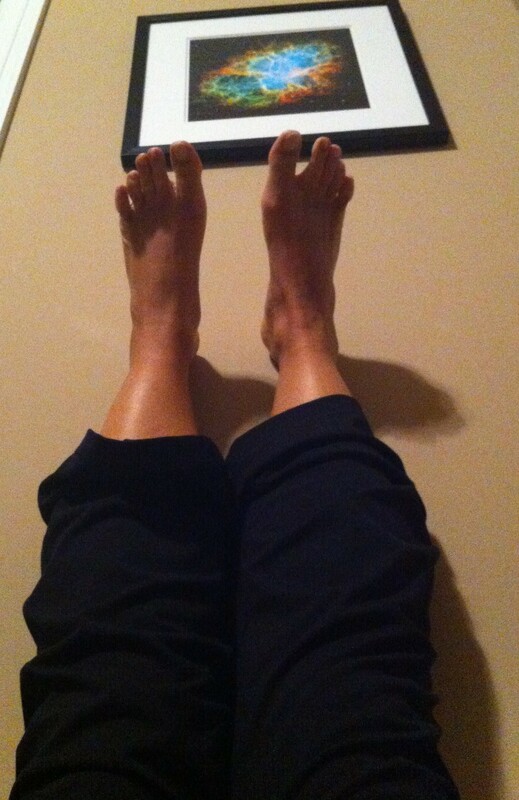 Seriously relaxing and a nice gentle hamstring stretch. Try it out! I’ve had some nerves about the 10K, definitely. The Athlete Guide freaked me out a bit (see I’m an athlete?) and I think I checked Sunday’s weather every day this week. Looking good so far! I’ll be glad when tomorrow gets here! I can say that I only got the large Diet Dr Pepper I was planning on, to take my Excedrin and have something to drink on the way home. I can’t say it was easy to resist the urge to get fries and “what the heck, might as well get the value meal for the same price” like I have so many times in the past. 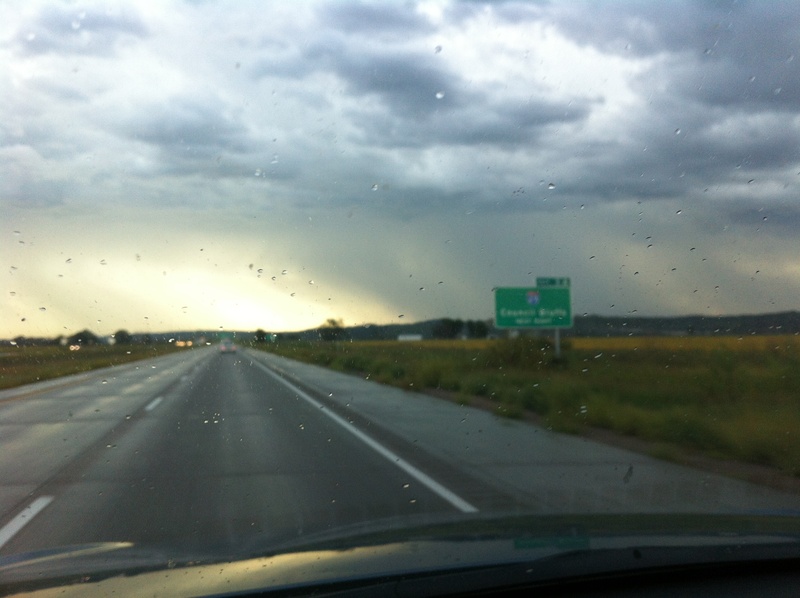 I resisted, but headache-y and stressed about the two hour rainy drive ahead of me, it was a touch and go thing. I was relieved to pull out of that parking lot. My husband was surprised to see the McDonald’s cup when I got home but bless him, didn’t ask if I’d gotten anything other than the drink. 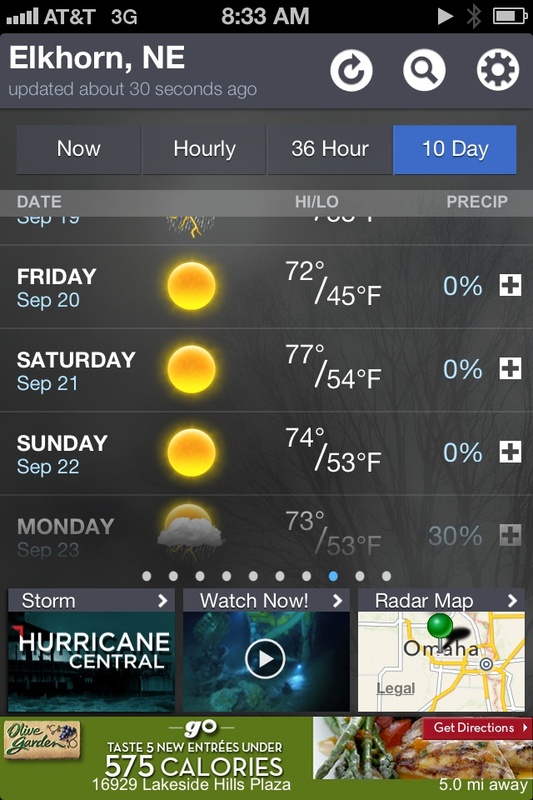 Send us good weather vibes for the weekend! Next time you hear from me, I’ll have my very first 10K under my belt!